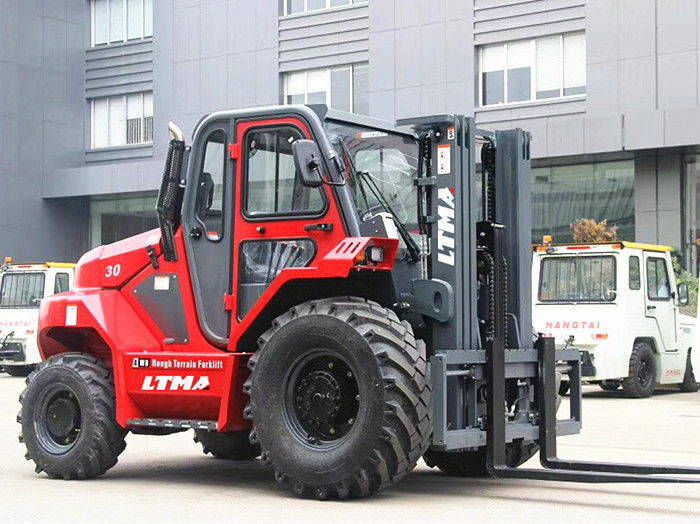 High performance imported engine like YANMAR and PERKINS with EUIIIB/EUIV/EPA standards, which is high efficiency, lower energy consumption and low emission levels. 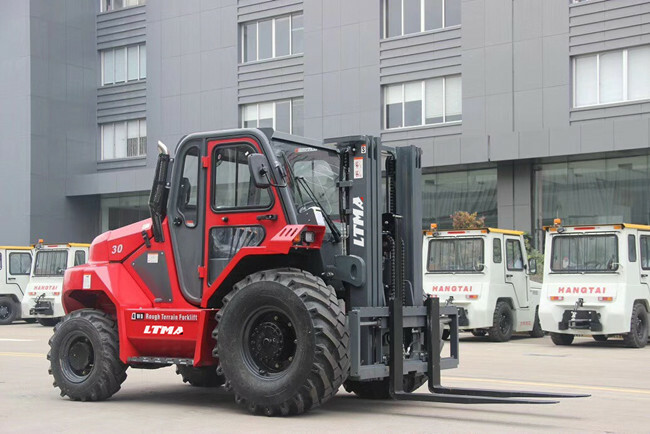 TCM technology transmission with floating system highly reduces the forklift vibration and noise, the 100% differential lock system ensure the stable trafficability performance in mud condition. 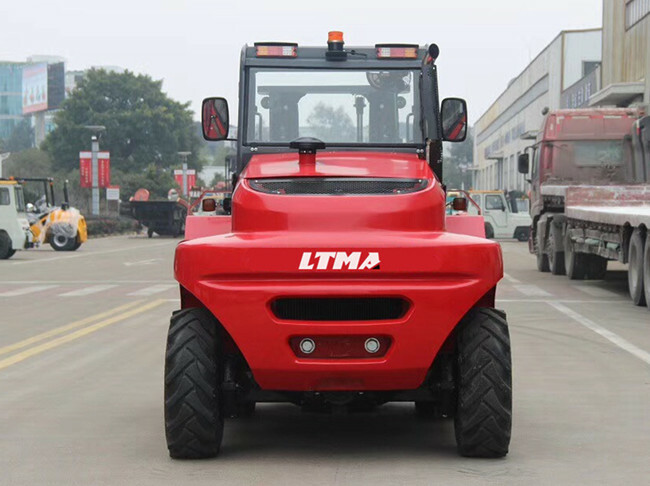 LTMA adopts the large capacity cooper radiator, optimized heat dissipation channel. The combination of engine coolant and transmission fluid radiator is designed for maximum air flow passing through the counterweight. The exhaust comes from the end face of muffler, using external type sparkle arrester, the exhaust resistance is greatly reduced, the function of smoke and fire extinguisher is more reliable. Particle soot filter and catalytic converter devices is optional.